People usually spare a specific piece of land at their homes for the germination of beans. However, you can now germinate beans in paper towel as well as it is very easy and effective way for sprouting beans from seeds in just a few days. There are countless people around the world who are using paper towel to germinate beans because it is not only easier way but also avoids putting in extra effort. If you are also want to germinate beans in paper towel and do not know how to do it then this take guidance from this post. First of all, you should take the seeds of beans and wash them in order to remove any dust or dirt from them. Then let these seeds dry up before you put them on a paper towel. Now take two paper towels and place one on a flat surface or in a flat plate. You should lightly wring out the paper towel. Make it a little wet by sprinkling water on it. After putting the paper towel on a flat surface, you need to spread seeds of beans on it. Make sure you spread seeds in a single layer on this wet paper towel. Not make the second paper towel wet and also lightly wring it out. After that, put it on the seeds of beans that you already have spread on a wet paper towel. Make sure you have placed the second paper towel exactly over the first paper towel and the seeds of beans are in the middle of both towels. Take a plastic bag with a zip on its mouth. Make sure that it is a thin bag and does not stop the flow of air that is required for sprouting the seeds. Then take the towel papers containing seeds of beans and place them into the plastic bag. Make sure you do not zip the mouth of the bag. Now select a place that is under direct sunlight and place this bag at that place for two to three days. Let this bag rest for at least two days. 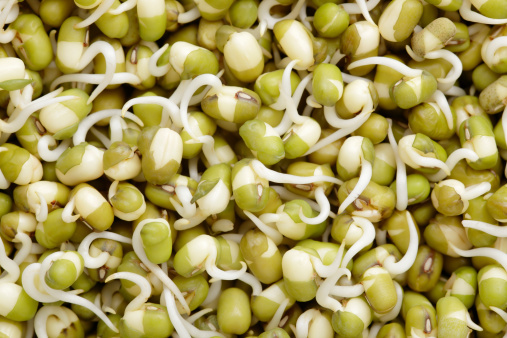 After two or three days, examine the condition of seeds and if you see the sprouts then take the seeds of the beans out from the bag and plant them into the soil in your garden.